Well beam me up! 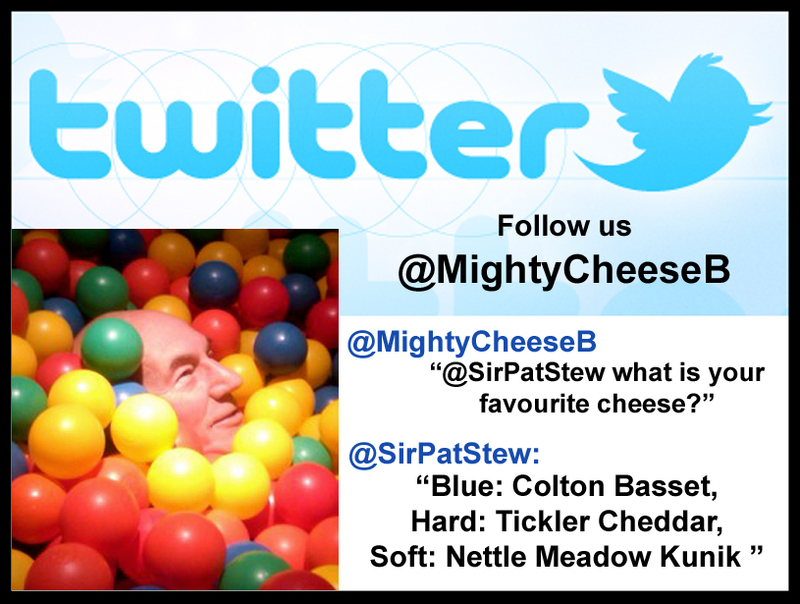 When he's not king of the Star Trek Enterprise, being all Shakespearian or checking out his family on BBC's Who Do You Think You Are?, then Sir Patrick Stewart is eating cheese! Upon asking him what his favourite cheese is he told the Mighty Cheeseboard not only his favourite, but his favourite from each of the following cheese catagories, Blue, Hard & Sort cheeses (Colton Basset, Tickler Cheddar & Nettle Meadow Kunik respectivly) - its good to have such a thorourgh response & someone who knows his cheese! Thank you Sir & keep enjoying your cheese!